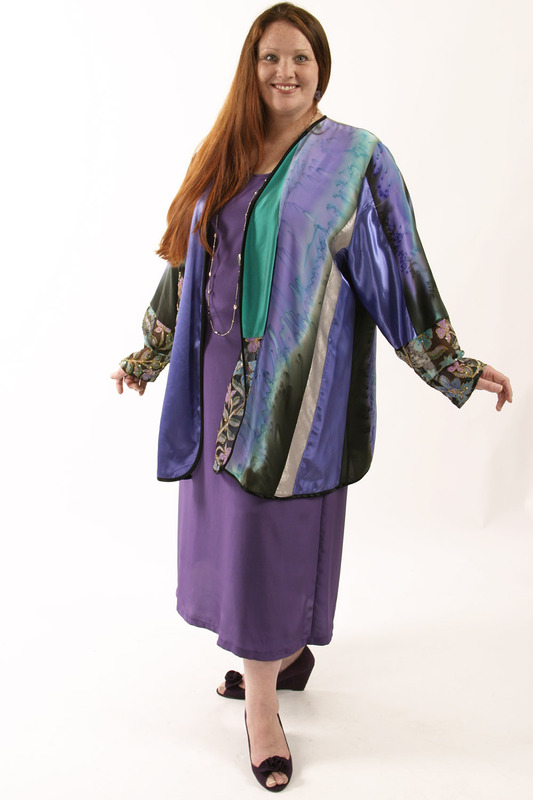 Special Occasion Jacket Sequins Artwear Turquoise Teal Purple Size 30/32: Handpainted and jeweled panels are integrated into our Daisy Jacket, slightly oversized and swingy, along with Joslin salt-dyed silks and gleaming rayon satin. The Daisy is easy to wear and very easy to alter, should you want to tighten it at the bust, as Nicky's fit would benefit from here. 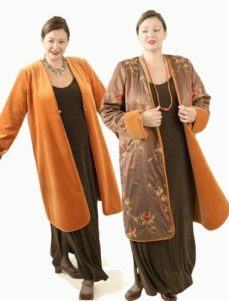 For the best fit: We find that a generous, flexible fitting garment and a good, local alterations person are invaluable! Plus-size bodies vary so much. Each jacket is actually one-of-a-kind since hand-painted elements always vary slightly, are always unique. Consult with us regarding sizing, length, coordinating separates and dresses, meeting your deadlines. 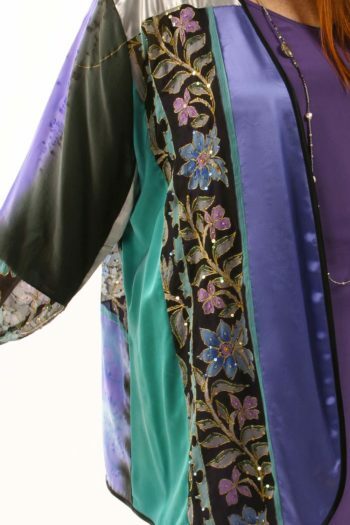 Be the first to review “Formal Jacket Sequins Artwear Turquoise Teal Purple Size 30/32” Click here to cancel reply.